Every pet lover should take the time to read this NYT-bestselling novel. 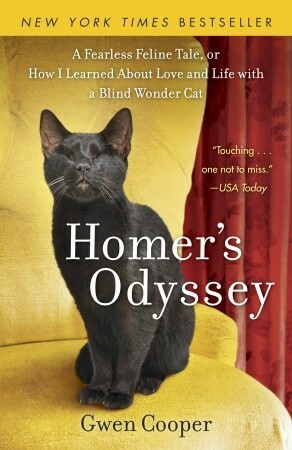 The saga of a blind kitten, this based-on-true-events novel chronicles Homer the cat's extraordinary impact on the author's life, entering it at a time she had little left to lose. Cooper weaves together her most poignant and life-changing events over a decade's time, all with Homer by her side, the cat who taught her how to love unconditionally. The chapter on the days following the 9/11 attacks, during which Homer and his cat-siblings were trapped in Cooper's NYC apartment, is one of the most gut-wrenching moments of the book. Cooper has since written a second, though entirely fictional, novel about cats' hidden, yet unwavering devotion to their owners, called Love Saves the Day. On the coldest night of the year, a tiny orange cat was stuffed into the book drop box at the library in the small town of Spencer, Iowa. Library director Vicki Myron found the poor, frost-bitten kitten the next morning, and nursed him back to health. Winning the hearts of Myron and the rest of the library staff, "Dewey Readmore Books" became the Spencer Library's official mascot, shining a bright spot in the lives of everyone he met. For the next 19 years, Dewey was the glue that held a lot of things together at the library, in Vicki's life and in Spencer. Okay, so this one is a total tear-jerker — you've been warned. But the simple eloquence of Mooney's prose, about real patients of the famous Animal Medical Center in New York City, a leading veterinary cancer-treatment center and teaching hospital, is empathetic, emotional and revealing. Mooney introduces readers to several diverse feline personalities she came to know extremely well while working in the cancer ward, from Fledermaus the tiny, sassy little tabby to outspoken Clancy who ran the show on the ward floor. Despite the heartbreak you'll feel as these cat characters face the inevitable, it's a beautiful story about the bond we have with our pets, and a must-read for anyone facing or who's experienced the loss of a pet. 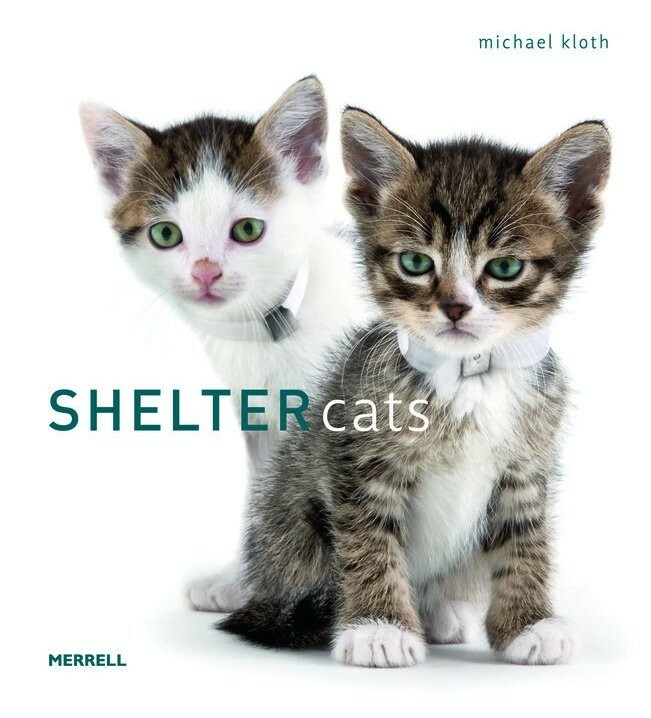 Just released this week, this photo-heavy book is the counterpart to the blog of the same name, chronicling the adventures of kittens fostered for the Humane Society of Tacoma and Pierce County. 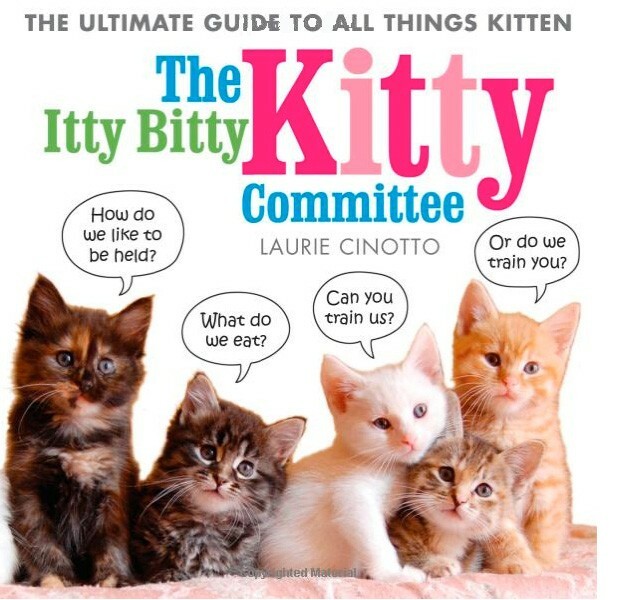 Filled with gorgeous and insanely adorable photos of the more than 200 kittens fostered in the past six years by Laurie and Craig Cinotto, under the watchful eye of household matriarch feline Charlene Butterbean, the book is just as much fun as the blog, if not more. It's the perfect summary of why fostering shelter pets can be the most rewarding job. It you haven't seen it, you've at least heard of My Cat From Hell, Animal Planet's bad cat docu-series that chronicles ferocious house cats morphing into docile, sweet kitties. Jackson Galaxy is the tattooed, bearded, glasses-wearing dude on the show who tells oblivious cat owners like it is — clearly the reason your cat is acting out destructively because you didn't give it any toys or outlet for its energy, duh. This memoir takes readers through Galaxy's troubled past — filled with drugs, self-loathing and instability — to his present success. When he began working at a Colorado animal shelter and eventually took in Benny the "unbondable" cat, traumatically injured after being hit by a car, things for both of them began to change. Readers learn how Benny taught Galaxy to listen to not only Benny's unspoken needs, but how to understand cats on the most basic level, the platform for the successful cat behaviorist career Galaxy now has. Sometimes we just want to look at pictures rather than strain our eyes through a bunch of words marching across a page. And in the new age of cat culture, books filled with adorable, squeee-inducing images are finding immense popularity. This photography collection by Tucson, Ariz., photographer Michael Kloth is a perfect coffee table or waiting room collection. Filled with pages and pages of cute little kittens and cats waiting at a shelter for someone to scoop them up, the level of cute here is overwhelming. In the back, Kloth includes an appendix listing when the kittens and cats were later adopted. Just look at that grumpy little kitten on the cover. Who can resist?! We don't really need to go into much detail here, the title of this book speaks for itself. Trust me on this: each page of BUB's book is just as glorious as the next. Telling a mostly linear story, starting with BUB's arrival on Earth, we see her find her Dude and make lots of friends. Throughout BUB is pictured being her cute BUB self on several intricate and creative photography sets, from inside her spacepod and a hot air balloon, to a kitty milk bar tended by the late, great Colonel Meow, and a picnic with her boyfriend, Smoosh. You'll be smiling wildly like a true crazy cat person through the whole thing.